Here at Laptop Screens Online we know that a broken laptop screen isn’t the end of the world, because when you come to us you can be confident in getting the exact laptop screens you’re looking for to bring your laptop back to life. We stock over 1000 LED and LCD laptop screens for you to choose from, and with all the top makes and models covered we’re sure to have just what you’re looking for. The new HP Pavilion touch series laptops are gaining popularity in recent years. With screen sizes set at 11 inch and 13 inches this new potable touch screen laptop is perfect for school and for work. With this new design and thinner look and the need to portability, there is a risk of breaking the screen. Most of the time it is just the touch glass that is broken on this type of devices. The good news is some of the 11 inch devices allow us to just change the outer touch glass, while the 13 inch model will usually require a replacement of the touch screen as well as the inside display. We are doing our part for the environment; we at Laptop Screen Replace provide affordable touch screen replacement to our customers who otherwise may have replaced their laptop. it would be really helpful if you can provide the screen resolution when getting a quote. 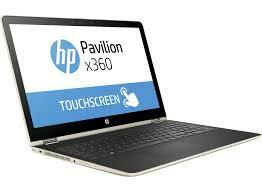 The most common touch screen model is the HP Pavillion x360 series. You can locate this model number on the bottom of your device.